Whew! I have *one* conference left. Most nights this week I had 3 conferences plus an hour of tutoring. It is nice to be DONE! I used Sign Up Genius for the first time. Even though I had to have different schedules on different days, it was easy to set up and it sent reminders so I didn't have to! I can't wait to use this for the holiday party. I did have two no-shows, and a few parents didn't sign up, but 15/ 20 is not bad. Last year I'd already had one-on-one conferences with a couple of parents, and didn't feel like I needed them with everyone, so I did an open-house style Family Share Night. For Family Share Night, families stopped in whenever they wanted during the time frame. My students got a checklist when they walked in that told them what they should show their parents. There were 5 or 6 things for the family to do, including saying hi to me. Almost all of the parents got to talk to me for about 5 minutes and ask me any questions they had about how their child was doing. There was a place to sign up for a conference if they wanted it, but not one family did. It was a nice way to get everything done in one night. This year, I wanted more one-on-one conferences. This was the first time I was running conferences myself, so here's the system I came up with for simple, organized parent-teacher conferences. Each student had a folder, labeled with name and number. As I put each folder together, I wrote out some quick notes on an index card of what I wanted to talk about. I always start with something positive, and try to touch on each subject, reminding myself what I want to show the parent along the way. On the back, I wrote a few quick notes after the conference about what the parents said or talked about. This really helps as they all start to blend together! Inside, I started with the goal sheet freebie from 3rd Grade Thoughts. I found it was a great way to give students a voice at the conference and, really, my kids were mostly very thoughtful about their strengths and weaknesses. I also included a copy of the grade card, but for obvious reasons didn't show that here. Next is my Progress Profile. It was inspired by one here. It's basically how I'm keeping track of all my data in one place (reading on one side, math on the other). Now that conferences are (almost) over, I'm going to stick them in my teacher binder. Behind that, I make sure to have printouts from the Star tests. I also have our Theme tests so far from the reading series. (The Beginning of the Year one is great for showing growth!) These include writing samples, too. I try to include a couple of other writing samples, including one from the beginning of the year (About Me freebie here) and one from more recently. Can't forget reading and math journals, either! I can show their reading logs, written reading responses, and also some of their math thinking and explanation. I also include any other representative samples of their work, especially anything that was low on the report card, and I end with one more positive, letting them ask any questions they have, and thanking them for taking the time to come in. It takes some time to pull all the data together, but I really liked how organized I felt at the conferences. I really try to focus on the growth angle, especially with my lower achieving students. And if we're not seeing growth, I really try to pull the parent into the equation by asking what they are seeing at home and if they have any ideas. Whew! It's a lot of work, but I love getting to sit down with parents and brag on their kids. They are so supportive of their kids, and mostly, of me- and it makes it so worth it to spend my own time doing conferences. Okay, bribing myself with these also helped. Mint candy with bits of candy cane inside. I was SO excited to see they're back in season already! How do you keep parent-teacher conferences and data organized? Oh My Goodness! You're doing a great job at keeping all of your "stuff" organized. How do you do it? Where do you keep everything? Do you use a filing cabinet? I don't have one and I feel like my papers are "everywhere". I've seen people use crates, but again I don't know where I'd put them. I have go to figure out something. My goal this year was to track data and only be data driven. I'm not fulfilling it at the moment. I am trying. I do have folders for each RTi student (about 20 out of 64). I believe this to be my biggest downfall as a teacher. I have to say, I wish I'd had all these files made and ready to go at the beginning of the year, and been filing all along, but that's not what happened. When I did make them, I kept them in a gift bag that stood up pretty well on its own. It fit easily under my desk, didn't get mixed up in my other papers, and was easy to transport back and forth. Whenever we graded something like a theme test that I knew I wanted to file into their folders, I stuck it in the bag. I didn't file it right away, but it was at least in the bag. I also did this with individual papers that I wanted to keep (for instance, a particularly good handwriting page for someone who struggles). My conferences were spread out over a week and a half, so each day I took the bag home and got the conference folders ready for the next day or two by pulling out any of 'their' papers and filling out the progress profiles. For next time, I might try to get a portable filebox when they're on sale, or one of the open- top file folders. It would be easy to put on the floor under my desk, since I don't use it often. I think the easiest place to start might be a data binder. You could have a tab for each student, some kind of data sheet (I just made mine with tables in Word! ), and a pocket, page protector, or even just space to hole-punch and insert a few relevant work examples. 64 students is a LOT, so cut yourself a little slack! I promise, this is one little thing I have organized, but I spent four hours going through papers on/ under/ around/ in my desk yesterday. I am by no means a super-organized person :) but just try one little thing at a time! Good luck! I like the idea of jotting notes about each area on an index card to remind yourself what you want to say to parents, and I especially love the idea of jotting down notes about what the parents said on the back! That would make it a lot easier to keep track of everything. 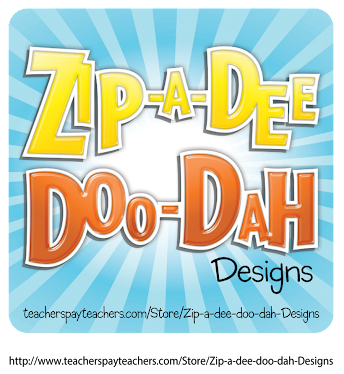 Custom Lesson Plans to Easy Sub Plans! Quick & Easy Tips for Teachers- Linking Up!